A carousel in Cardiff.? The carousel in Cardiff Bay is more appropriate. A swirling adventure made of colours and laughter. Some music in the background. There it happens: childhood restored. Note: The photograph has in no way been edited or digitally altered. 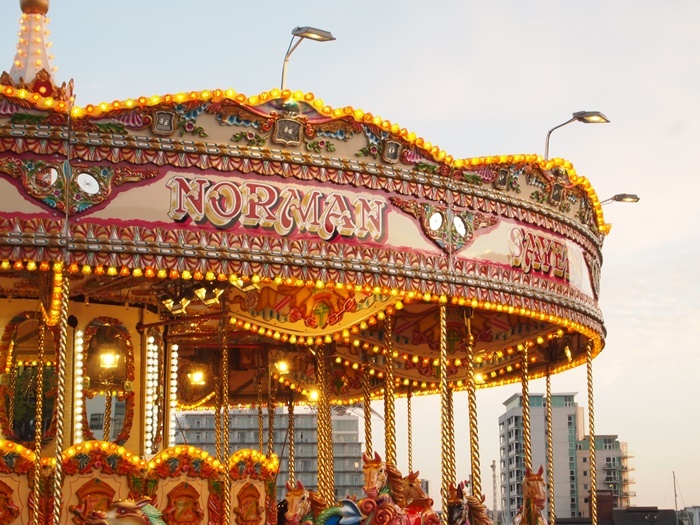 Posted in photography, Travel, urban photographyTagged cardiff, cardiff bay, carousel, childhood, colours, friends, holiday, norman, photography, travel, United Kingdom, vivid, wales, weekly photo challengeBookmark the permalink. It definitely is childhood restored, and such a beautiful way of doing so, great photo! Beautiful – such memories for a kid who grew up on British shows and fairgrounds, a long long time ago. Thank you for your comment! It is really nice for me to know I have helped bring back good memories.